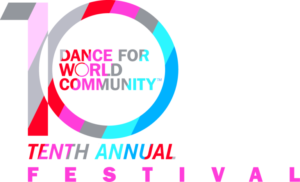 Join the BLE dance troupe at Dance for World Community, a free, day-long, indoor/outdoor festival celebrating the power of dance to bring people together. BLE will perform dances from its repertoire from 3:50-4:10 p.m. on the parking lot stage between Harvard St. and Massachusetts Ave. The Dance for World Community Festival is the capstone of Festival week, and is presented by Jose Mateo Ballet Theatre. The DWC Festival is a FREE, day long, indoor-outdoor festival celebrating the power of dance to create change in our communities, locally and beyond. From noon-6:00 p.m., head to Harvard Square for FREE performances by more than 90 local dance groups and FREE introductory classes in a wide variety of dance forms. There’s something for everyone and every age at this incredible day of dance! From 6:00-8:00 p.m., the festival ends with a dance party in the parking lot at 1151 Massachusetts Avenue with 94.5’s DJ Sammy Smoove. In addition, you can stroll down Advocacy Way and take the opportunity to learn more about nonprofits doing incredible work in our communities!